Nestled in a spectacular valley setting with breathtaking views of conserved land and the Pennsylvania Hunt Cup sits this grande estate home which is beautifully sited on 109 acres of rolling hills. Entrance to this home is down a long winding farm lane with pastoral views of the countryside. Upon entering the home you have a classic brick floored entrance hall which leads to a large sunken formal living room with 12 foot ceilings, a wall of windows, crown molding, built-in cabinets and a wood burning fireplace. A well located formal dining room has random width hardwood floors, built-in corner cabinets and doors with access to the raised brick terrace where you can enjoy expansive views of your private and peaceful country oasis. Entertain in a great open kitchen and family room with built-in bookshelves, fireplace and a floor to ceiling window with window seat. The first floor is complete with a large mudroom/laundry, two half baths and a 3-car garage. The main house has seven bedrooms and five full baths, which include on the second floor, a large master suite, 4 additional bedrooms and 3 full baths.There is a third floor with 2 additional bedrooms, full bath and a bonus room great for storage. Easy access to the in-ground pool from the stone floored lower level! For the horseman there is a 16-stall bank barn with a wash stall, tack room and barn apartment. Plenty of turnout with 9 paddocks, 3 with turnout sheds. The conservation easement allows for an indoor arena! Currently there are 5 residences on the property including the main residence, barn apartment, two-unit stone farmhouse and a tenant house. 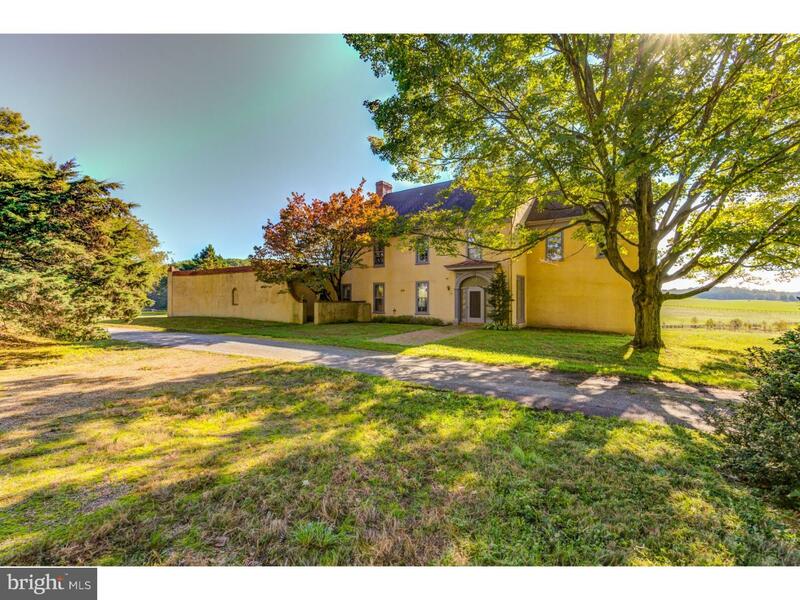 Great location in Unionville-Chadds Ford SD and the Cheshire Hunt! Easy access to Wilmington, Philadelphia and Maryland. Also listed under Lots/Land/Farms MLS #7270250. Listing Agent is related to Seller.